Stretching across to Lake Victoria, the Western Corridor (or West Serengeti) is a remote, little-visited area of the national park famed for the thrilling river crossings of the Grumeti River during the Great Migration between May and July. A huge valley bordered by hills that ends in Lake Victoria, the Western Corridor is made up of open savanna, woodlands, floodplains and riverine forest which are home to a great diversity of year-round wildlife, including elephant, giraffe, hippo, giant Nile crocodiles, rare Colobus monkeys and the localised kongoni antelope. Flanking the Western Corridor is the unfenced Grumeti Game Reserve, a 138 000-hectare private concession which serves as a wildlife corridor for the animals making the migration between the Masai Mara and the Serengeti in June and July. The concession not only offers superb migration sightings with few other vehicles around but also lush, green landscapes of woodlands, rivers and rolling hills, as well as year-round leopard and lion populations. Seeing the enormous herds of the Great Migration making crossings of the Grumeti in June and July is an excellent reason to visit this part of the Serengeti. While these river crossings are less well known than the Mara River crossings to the north – where the river is more dangerous, wider and has more viewing points – the Grumeti River, which is the first big obstacle for the herds to tackle, still offers some exciting sightings, with the added benefit of fewer tourists at the crossing points. There are only a few places where you can do walking safaris in the Serengeti, which makes the walking safaris offered in the Grumeti Game Reserve particularly special. Spend hours on foot in the bush with a guide, not only tracking animals and learning about birds and insects, but also discovering fascinating medicinal and cultural uses for indigenous plants. Visit a local Maasai community to see how people from the tribe live on the edges of the Grumeti Reserve. You’ll get to meet with subsistence farmers and their families and learn about what daily life is like – such as how villagers need to invent non-invasive ways to prevent elephants from trampling their crops. 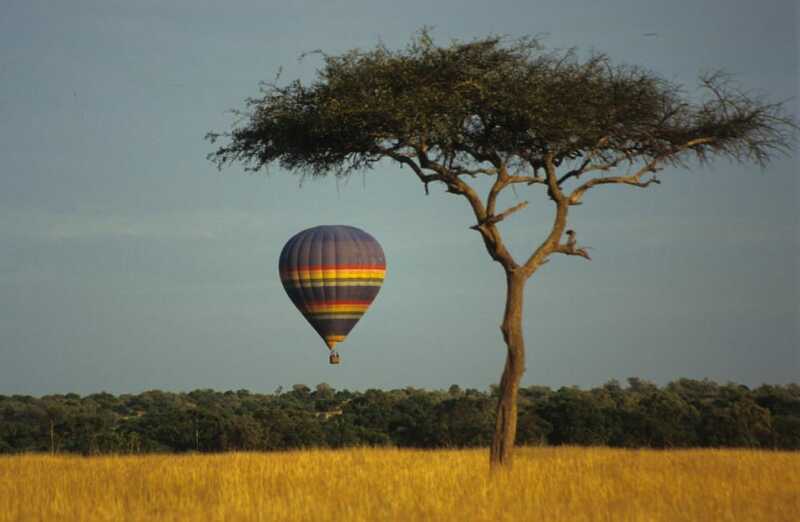 Hot air ballooning is offered seasonally (from the beginning of June to the end of August) in the Western Corridor. A magical sunrise flight in a gently gliding balloon is an unforgettable way to see the Serengeti’s spectacular landscapes and wildlife from a bird’s eye perspective. Budget travellers are best off staying in the Central Serengeti, as the Western Corridor and the Grumeti are more geared towards higher end travellers, however there is a campsite located at a lodge near the Ndabaka entrance gate, and a public campsite at the gate itself. Mid-range options in the sector include camps located just outside the park boundaries, while the region is most famous for its superb, intimate luxury lodges and mobile camps – some of which are completely exclusive. June and July are the most popular times to visit the Western Corridor and the Grumeti to see the Grumeti River crossings and the herds on the move, but September and October are also great months to see the remaining herds of zebra and wildebeest, along with other resident wildlife such as elephant, leopard and lion. If you’re travelling during June and July, you’ll need to reserve lodging far in advance, as there aren’t many places to stay in the region. Many people choose to fly into their lodge or camp’s private airstrip. Self-drivers hiring a car should pick up their vehicle and supplies from Mwanza, which is just over 130 kilometres from the Ndabaka Gate.